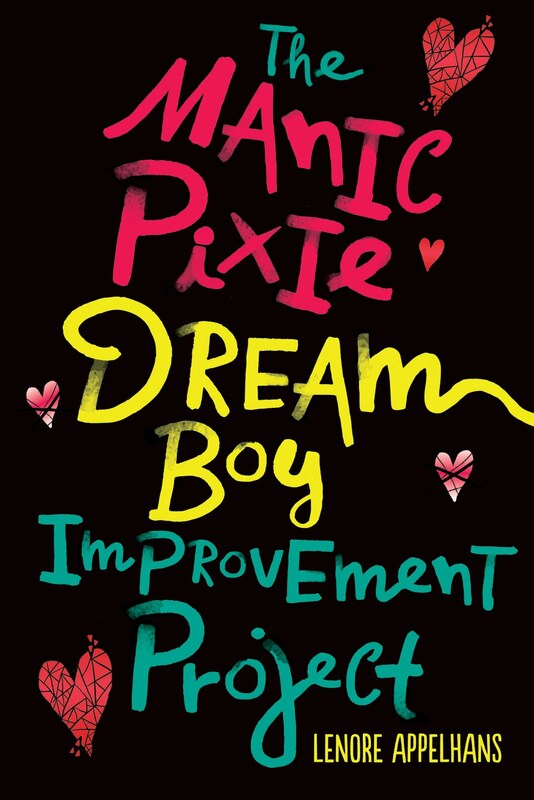 I love music and I love books, which means I really love book playlists. So all through October I'm going to be posting book playlists. I've invited a bunch of authors to contribute, so hopefully we'll all discover some great new music and good reads. 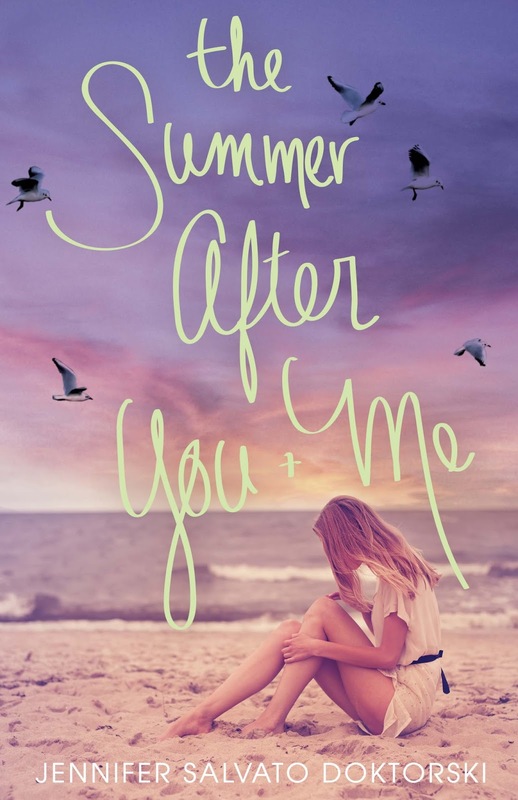 Jennifer Doktorski is here today to share some of the resonant lyrics from her playlist for her new novel THE SUMMER AFTER YOU & ME. 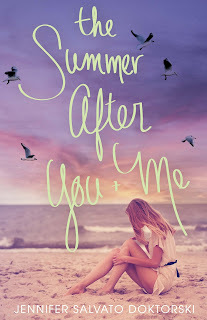 When Superstorm Sandy sweeps up the New Jersey coast, local shore girl Lucy Giordano is brought together for a few intense hours with her longtime crush/part-time summer neighbor, Connor Malloy. Lucy believes their connection is real, but in the hurricane’s devastating aftermath, nothing is the same and Lucy is left to pick up the pieces of her broken heart and home. 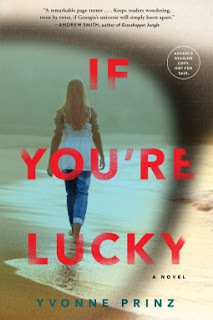 Today, I have Yvonne Prinz talking about her playlist picks for her new novel, IF YOU'RE LUCKY. And now, Yvonne's song picks! A sad, pretty song for Georgia and how I imagine she yearns for her dead brother, Lucky. 2. Poison Oak- Bright Eyes. I love these lyrics. I think that Oberst wrote this song to go with my story. That isn’t true, of course, but the song reminds me of my character, Georgia, and her brother, Lucky. Georgia has always been in awe of Lucky’s ease in his life. He brought the world home to False Bay with him when he returned from his adventures and he made it seem small and friendly. After he’s gone, Georgia doesn’t know how to look at the world anymore. If You’re Lucky is part ghost story and this song seemed appropriate. I adore Shakey Graves. This is a beautiful cover of a David Bowie hit. I played it a lot while I wrote about Georgia losing touch with what’s real. The Felice Brothers are self-proclaimed slouching Hudson River Pirates. I think this song speaks to Georgia’s slide downward. Her delusions start to define her life as she slips away from reality. I love the sea shanty feel of this tune. Lots of surf culture in this story. Lucky thrived in that life. He worked here and there and then followed the waves around the world. I’ve always loved the way this song speaks to that Gypsy life that Lucky embraced. The coastline where I set the book in Northern California is one I’m very familiar with and this track is just how I feel when I drive that lonesome highway along the edge of the western world, overlooking the Pacific. There are lots of versions of this Neil Young song but nothing quite touches the soulfulness of this one. Georgia fears the water though it’s all around her while she’s awake and in her dreams. Beirut is a big favorite of mine. I love their rich multi-instrumental arrangements. I like this video too. It’s reminiscent of the scene where Georgia’s family scatters Lucky’s ashes into the ocean. Sonia (Lucky’s girlfriend) and Georgia take a drive down to a small bar in Bodega (near where Tom Waits now lives, incidentally) to see a Gypsy Swing band. They’re surprised when Fin gets onstage to sit in with the band. He’s obviously an accomplished guitar player and neither of them knew anything about this. I loved building a character with a flourish like this, another dollop of intrigue, another layer to explore. This one’s a weeper. I see Georgia is hanging on to her dead brother too tight and she sees him in her dreams, always in the water, always reaching for her. 11. Jayne’s Blue Wish- Tom Waits- A nice poetic note to end on. A touch of hope for Georgia. Thanks, Yvonne - all these songs are new to me. How fun! Find out more about IF YOU'RE LUCKY at Yvonne's website and look for it in stores starting October 20th! Playlist October! Among the Shadows Story: Panic Room by ... me! 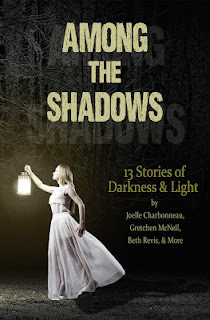 First up, I wanted to share a few songs that go with my short story in the Among the Shadows anthology (out now - buy here). My story is called Panic Room and it's about a girl who has to adjust to life on a doomsday prepper commune before and after an EMP attack.